This morning Emily and I spoke with Kerry McNamee, Project Manager with the North Coast Regional Land Trust. 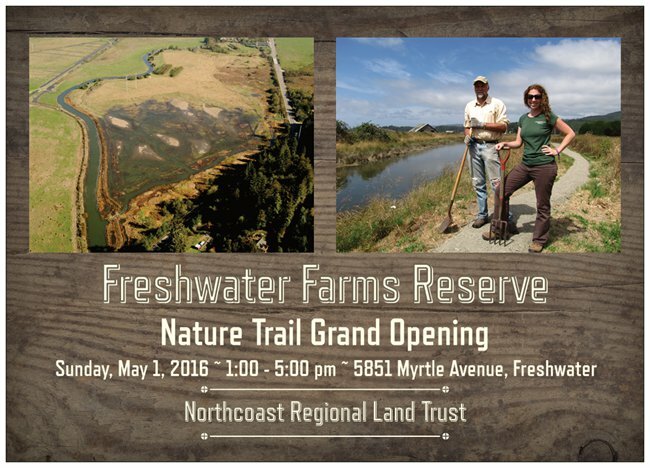 This Sunday from 1pm to 5pm will be the Grand Opening of the Freshwater Nature Trail. Kerry explained that this is a project that was 10 years in the making, but real work on the trail began about a year ago. This trail includes a non-motorized boat launching facility and beautiful views along the path.